On Wednesday, February 20 at approximately 8:20 pm. 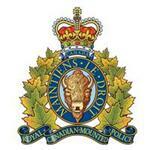 RCMP Lethbridge and Fire and EMS were dispatched to the scene of a Fatal Motor Vehicle Collision at the intersection of Highway 512 and Highway 845 approximately 2 miles south of Coaldale, AB. An empty Cattle liner was heading northbound on Highway 845 when a small Toyota automobile heading westbound on Highway 512 failed to stop for a stop sign and ran into the side of the Cattle Liner. The vehicle was dragged for 100 metres before the Cattle Liner was able to stop and the car was fully engulfed in flames. One occupant was found deceased in the small Toyota. Investigation is continuing into the cause of the collision. Pending autopsy and positive identification of the deceased, no names will be released on the matter, for proper Notification of Kin to be made. Alcohol is not believed to be a factor in this collision. No charges are being considered at this time. Further updates will be released as information is available.